Tea Sparrow is a company that creates tea boxes filled with four types of loose leaf tea that are delivered to your door. They select different types of teas from around the world each month that contain no artificial ingredients. 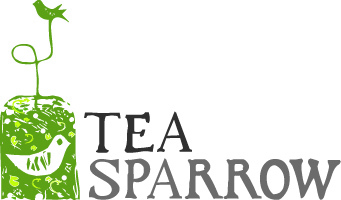 I was recently contacted by Tea Sparrow and sent one of their tea boxes to review. I was pretty excited because I love tea and their logo is so cute I automatically liked them. The theme of the January box that I sent was “detox” and it contained a chocolate pu-erh, a pineapple coconut oolong, a blueberry rooibos, and a ginger lime rooibos tea. I don’t care for chocolate flavoured teas, so the pu-erh wasn’t for me. I loved all of the other ones though. The pineapple coconut oolong was the smoothest tasting oolong tea that I have ever had and one of my favourite teas of all time. It had a ripe, fruity flavour that tasted natural and not artificial. Both of the rooibos teas were also very good, but I preferred the ginger lime one more. The ginger flavour was mild and subtle and not too overpowering. The lime flavour really brightened it up and made it more unique than other ginger teas I have had. I thought that the concept of the tea box is cool and would be good for an avid tea lover. I like how they give you a variety of types of tea and flavour profiles and they are all high quality. However, if you only typically like a certain type of tea, this box may not be for you. You can also get 60% off your first tea box in an ongoing subscription by using the promo code “teas” on their website. Disclosure: I did not pay for my tea box.